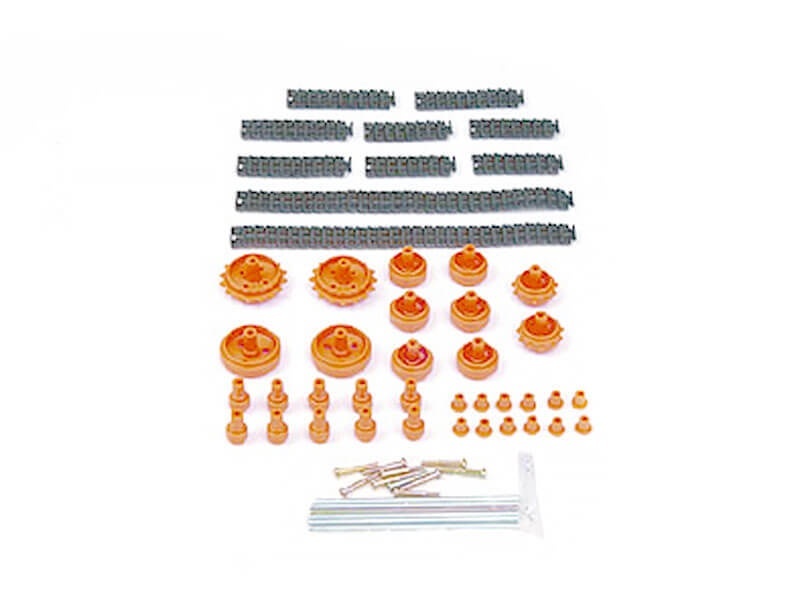 The Tamiya Track and Wheel Set is designed to be used in conjunction with multiple Tamiya products. You can use a Tamiya Universal Plate Set for mounting the wheel and sprocket shafts and a Tamiya gearbox to drive the sprockets. The varying track length, sprocket, and wheel sizes allow for flexibility when designing your own robot.